The tent was pitched precisely where a tent should never be pitched, hence the lightning strike. It was late September of 2011 and Jon Kedrowski, a geography professor and mountaineer from Vail, Colorado, had been racing from one range to the next for the past three months. His goal was both adventurous and, well, eccentric: camp atop all 58 of Colorado’s iconic 14,000-foot peaks. “I heard the thunder right over my head, rolled out of my sleeping bag, and grabbed my pack, which I always keep ready when I’m doing these summit bivvies,” he says. Around 9:30 that evening, he bailed from his shelter—out into the sideways hail, the loose rocks, the whirling sparks of electricity. A few hours later, having hidden from the storm in a cluster of stunted conifers, he climbed back to the crest of 14,420-foot Mount Harvard and found that his tent had partially melted. Kedrowski tells me this story as we hike toward Cathedral Lake, a tarn surrounded by three 13,000-foot peaks in Colorado’s Elk Range, south of Aspen. It’s early autumn, and though the leaves framing the trail are a cheery orange, the forecast hardly invites an overnight in the alpine: Heavy gray skies portend snow. But that’s fine with Kedrowski, because today he’s interested in simply scouting campsites, not actually getting shut-eye. Recently he began toying with the idea for a new bivvy project, one that would celebrate the state’s smaller—but often more dramatic— mountains. I’m tagging along to find out why. In the minds of most serious alpinists, bivouacking is a hardship to endure, not a pastime to pursue. The standard line of reasoning goes something like this: I’ll curl up on some precarious ledge with minimal gear only when it’s an absolute must—for the sake of a new route, a fast-and-light blitz—because doing so is both miserable and dangerous. But Kedrowski has inverted the traditional logic, spending as much time above tree line over the past seven years as your average mountain goat. He’s watched the shadow of his mountaintop bed creep out over the plains at dusk, encompassing entire cities, and he’s witnessed every imaginable type of weather, from hurricane-strength winds to perfect pin-drop stillness. Raised in Vail, 39-year-old Kedrowski grew up outdoors. He and his childhood pals were backpacking unsupervised in the Holy Cross Wilderness as 12-year-olds, and by the age of 18, he had summited all the Colorado 14ers. In 2002, when he was in his early 20s, a buddy suggested they camp atop Mount Elbert, the highest point in the state, without a tent, just for kicks. That glimpse of empty moonlit vistas stuck with Kedrowski as he traveled to Florida and Texas for advanced degrees in environmental geography. During the summers of 2007 and 2008, he conducted field research for his Ph.D. in Washington, surveying “climber experience” on Mount Rainer’s glaciers. He saw firsthand the overcrowding, and that reality, contrasted against the memory of his Elbert evening, stirred something in him. When he landed back in Colorado for the summer of 2011, the 14er bivvy project was, in a sense, inevitable: He yearned for the wildness of the off-hour high peaks. Over three months, Kedrowski hiked up each mountain toward the end of the day, found a suitable—or not so suitable—spot to pitch his tent, and with a deli sandwich for dinner and a puffy coat for warmth, settled in to watch “the light show”: gilded clouds, full-arc rainbows, shooting stars that he could practically reach out and touch. Many of the peaks he did alone, but occasionally he camped with his friend Chris Tomer, a Denver meteorologist. 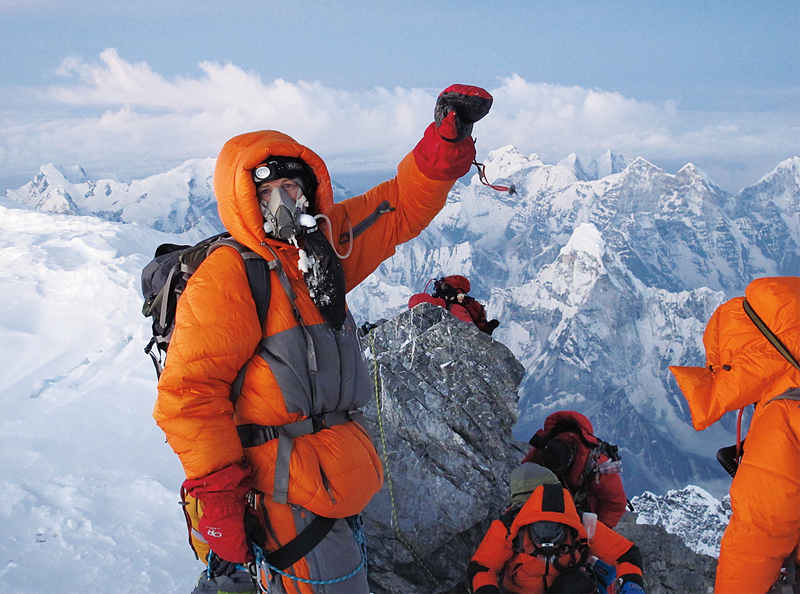 During the summit pushes, Kedrowski shot photos for a coffee-table book that was published in 2012 with the understated title Sleeping on the Summits. Then he took his passion on the road: 13 14ers in the Sierra Nevada, 10 snowy volcanoes in the Cascades (all of which involved ski descents). A second book emerged from these excursions, along with a deeper understanding of what recreational bivvying has to offer—in particular, how it simulates the intensity and complexity of routes encountered in the greater ranges like the Himalayas. Everest is the be-all and end-all. But you climb it, and your life’s not over. Then what? Conditions in Colorado’s alpine zone are notoriously capricious, even in summer: Temperatures can plunge into the teens; dark rain squalls can unexpectedly appear from behind a neighboring peak. For Kedrowski, learning to read the environment’s changes and react accordingly is a life-or-death skill. And in addition to relying on his backyard summits as a kind of mental training ground, he uses them to pre-acclimate in preparation for overseas objectives. The answer, according to Kedrowski, requires creativity—or at least it should. 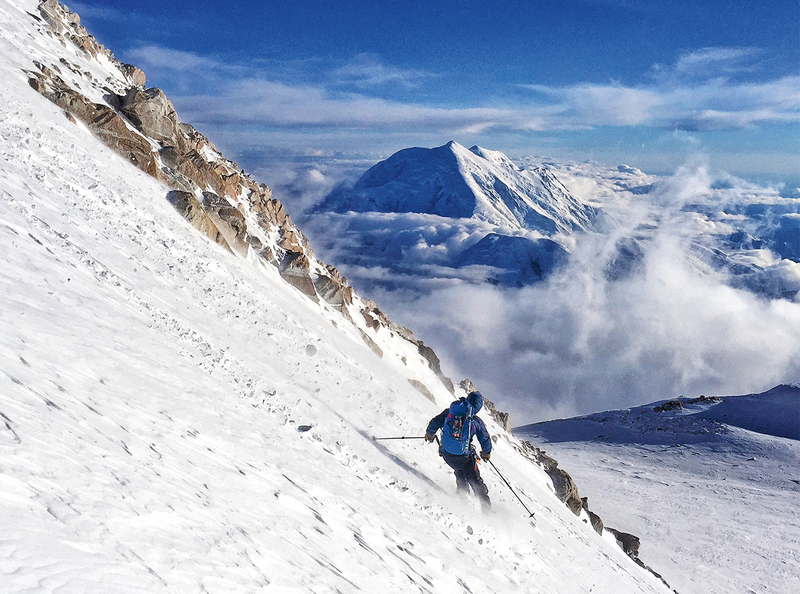 His to-do list includes finishing the seven summits (a trip to Antarctica for the Vinson Massif is all that’s left) and visiting Himalayan peaks Manaslu and Cho Oyu for more ski mountaineering. But alongside these big goals, he’s also scheming to complete a new book about the hardships and satisfactions of snoozing in the Colorado high country—though he doesn’t know exactly what the project will entail. If you’re Kedrowski, what happens is you pursue an idiosyncratic desire to pitch a tent where a tent should never be pitched. “It’s great when some dude who thinks he’s beaten everybody to the summit shows up at dawn and you’re curled up in your sleeping bag, like, ‘Hello, sorry for the surprise!’” he says. Of course, it’s not always so smooth. Kedrowski’s favorite adage is an old classic: The mountain is in charge. Sometimes you’re afforded pleasant dreams beneath a glittering quilt of starlight. And sometimes you’re driven, terrified, from your soon-to-be-melted tent.